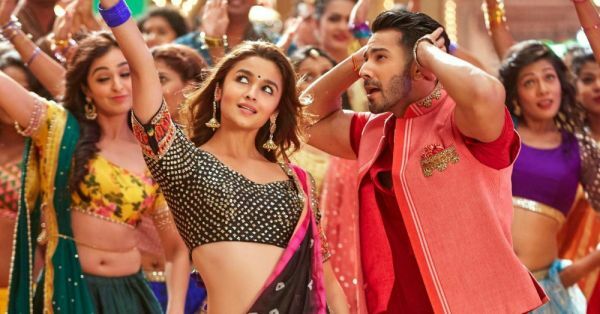 11 Things You'll Totally Relate To If You've Ever Attended A *Baniya* Wedding! Ever been to a Baniya wedding? Well, I have and that’s why I can say with so much confidence that they’re AWESOME! Like most North Indian weddings, they are high on glam and have an overload of yummy food. But there are still a whole lot of things that make Baniya weddings different from any other that we’ve ever been to. From OTT bling (that we love) to super cool wedding favours, here are some things that make Baniya weddings extremely special! 1. Oh, the OTT but gorgeous invites! First things first. Baniyas send out elaborate and grand wedding invites. Because why not? They’re going to host a lavish wedding and their invite has to definitely match up to the grandeur. They even gift dry fruits and exquisite silverware along with their wedding invites. Wow! This is a sure shot way to identify a Baniya wedding, and just another reason why we love them. The moment you enter the venue, you will spot beautifully decorated gift baskets and hampers, placed aesthetically on a table. They look really nice and colourful and oh-so-festive! 3. They’re tooo glam to give a damn! Oh yes, they are! The family starts putting together bridal jewellery years before the wedding. And it all comes out at the time of the grand shaadi. Trust us, Bappi Lahiri would also not compete with a Baniya bride (with the gold, you see!) That’s not all, even the guests wear their choicest jewels... It’s quite a spectacle! Even their outfits are all nice and blingy! Most Baniyas I know are very traditional. They follow elaborate rituals and are also super proud of it. Hand this to the pandit ji, take this from your father, fold your hands and chant this mantra, there are just so many things the bride and the groom have to do! 5. An array of vegetarian dishes… and all are delicious! Traditional Baniya families follow a strict vegetarian-only policy, in everyday life and also in weddings. But their delicious array of vegetarian dishes can sometimes totally make up for the lack of chicken shicken! There’ll be so many delicacies, it’ll be difficult to sample everything. As a guest in a Baniya wedding, you’re never going home without satisfying your sweet tooth. They’ll present you with dabbas of desi mithais and mathris to take back home and trust me when I say this, you would never want to say no to this. Although most North Indian weddings have late-night muhurats, Baniya weddings take it a step further by having their pujas and rituals start at as late as 1 AM! It’s basically a dusk to dawn affair. All Baniya weddings have that one uncle who’s looking after the shagun envelopes, an aunty who’s taking care of the jewellery (to be gifted to the bride) and another person standing with the caterers and halwais. It’s like a machine, in which every part is equally important and works in sync. Every small ritual, from the haldi ceremony to the mehendi celebrations, has a special folk song dedicated to it. It’s like their own version of not one but multiple ladies sangeet. 10. Inhe singing aur dancing ka kitna shaunk hai! 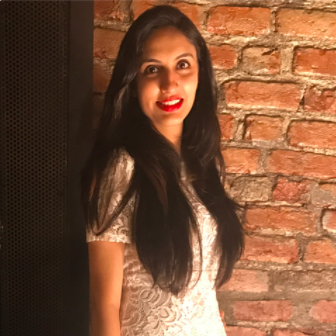 And although folk songs are still a huge part of the Baniya traditions, that doesn’t mean they shy away from all the latest Bollywood numbers. Baniya weddings are no less than festivals, you will always find people in groups dancing to one song or another. Last but not the least… the dry fruits! Although you must have seen tea and coffee being served during pheras at a lot of weddings, Baniyas weddings are a step ahead here too. You will always find a tray of dry fruits being served (along with other refreshments) during pheras to keep all that midnight hunger pangs at bay. These are just some things that make Baniya weddings super special! Have you attended an awesome Baniya wedding lately? Let us know what you think about them in the comments below.